Designed by Smith’s professors and staff, our programs not only give you an inspiring learning experience, you can also request a recommendation from Smith faculty to use in your college applications. 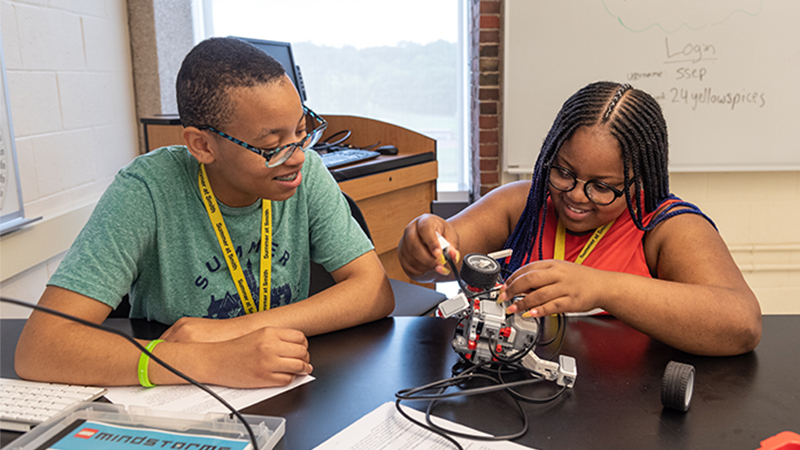 Inside the classroom, a hands-on, collaborative learning environment lets you directly engage with world-class scholars who help you pursue your passions and develop new skills. Outside the classroom, enjoy Smith's beautiful setting, live in a house on campus, make new friends and have a great time joining in on fun activities. Smith College and the surrounding area are home to unparalleled collections and cultural heritage institutions that offer an immersive experience in women’s history. 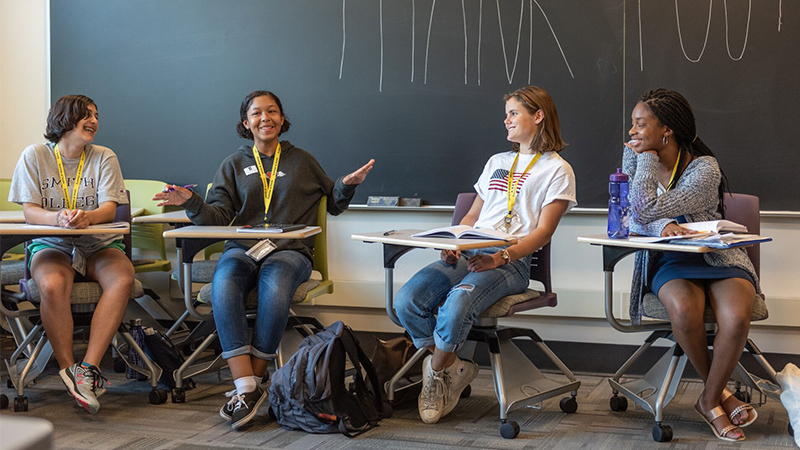 With so few writing programs that cater exclusively to high school girls, Smith’s Young Women’s Writing Workshop allows you to explore your writing in a creative and supportive environment that fosters your love of writing in a variety of mediums. Smith College faculty, staff, and experts throughout the Five College area will teach the classes. Smith students will act as teaching assistants. Sometimes. You may have a small writing assignment some evenings, or up to two hours of homework for our science and engineering courses. No tests are given in any classes. Will I receive credit for summer programs? No—and you don't get grades, either. Students learn more in an environment where there are no pressures; they learn because they are interested. How much background do I need? The critical factor in attending a precollege program at Smith is that the student is motivated and interested in learning about the subject. There is a place for everybody—from the beginner to the very advanced. I'm interested in applying to Smith; what can I do while I'm there? Students are encouraged to set up an interview with our Office of Admission. Students who are interested in applying to Smith are encouraged to chat with their teaching assistants about their Smith experiences. At the student's request, faculty can complete an evaluation for each student. We are grateful to the following for their generous support of financial aid for SSEP participants: Dusenbury Family Foundation; Jack Kent Cooke Foundation; Joyce Ivy Foundation; Minds Matter; Passport Scholars Foundation; Schuler Family Foundation; Young Women's Leadership Foundation. For information about how your organization might support Smith College's outreach efforts, please contact the Office of Corporate and Foundation Relations. This program complies with the summer camp regulations of the Massachusetts Department of Public Health and is licensed by the local board of health. At the time of the student application, parents and/or guardians may request copies of background check procedures, health care and discipline policies, as well as procedures for filing grievances.